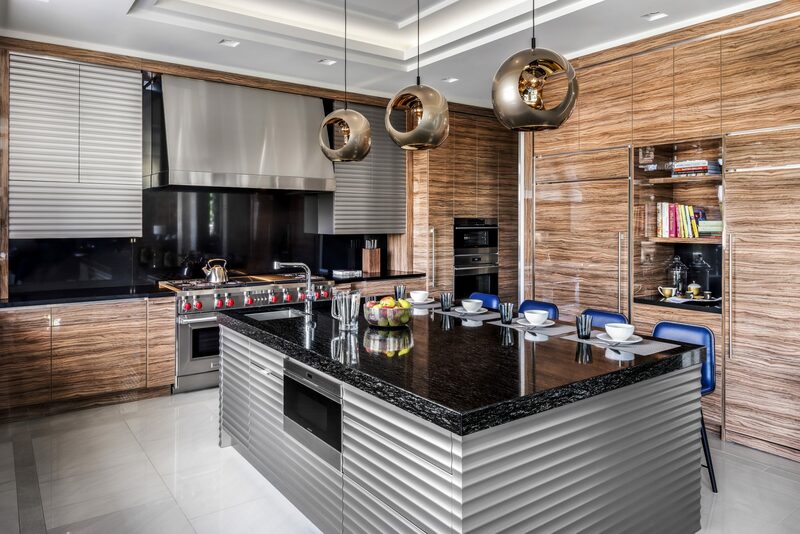 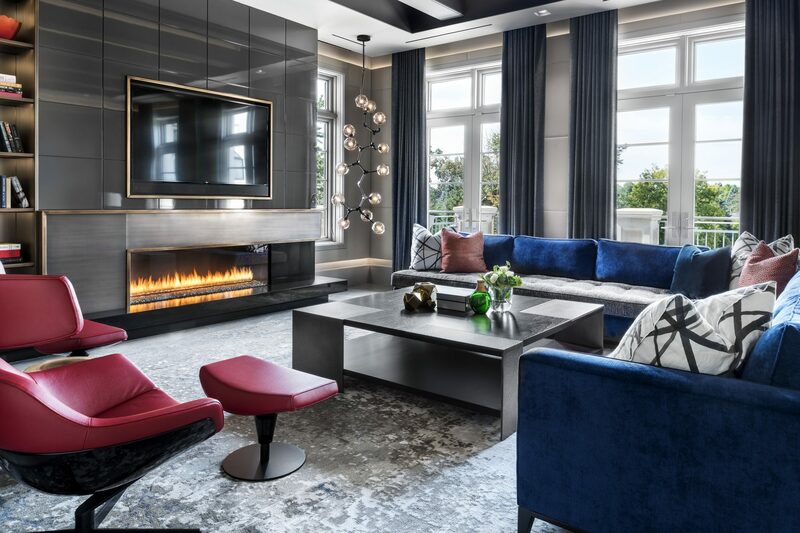 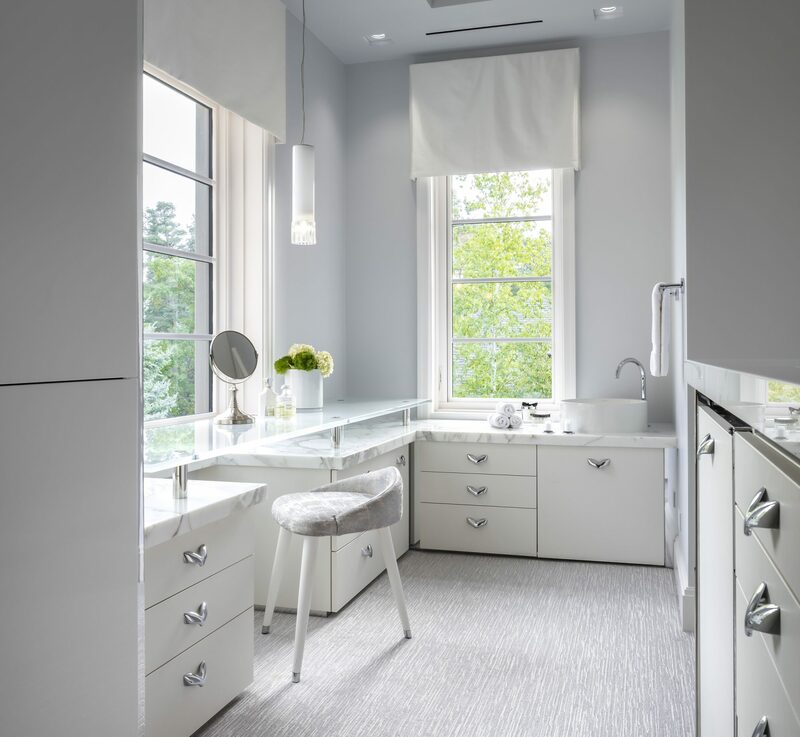 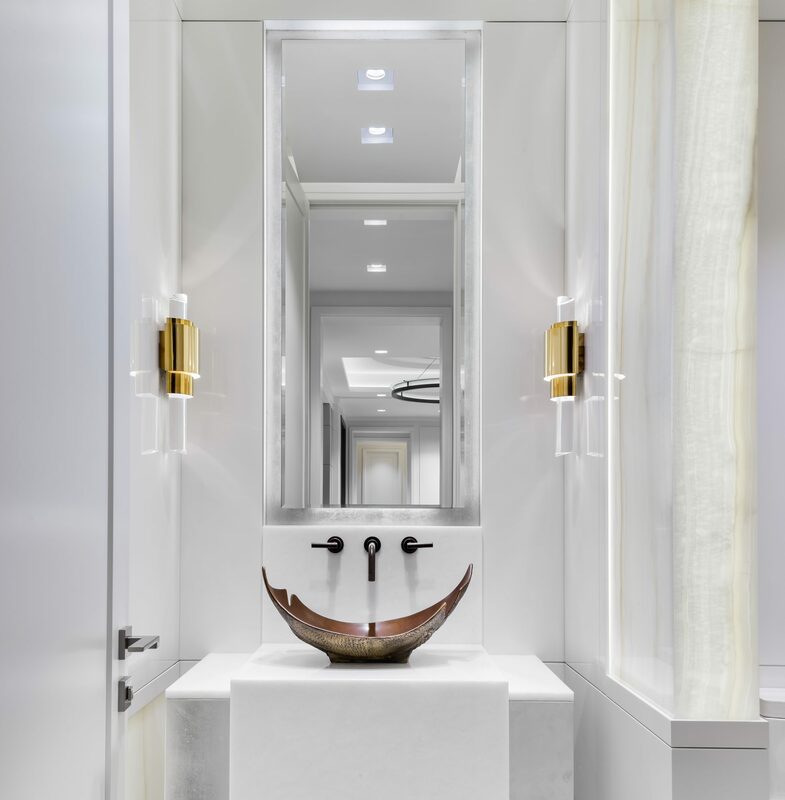 Influenced by the client’s desire for a statement luxury home, and one that would appeal to a young family, we created a residence that is at once opulent yet imbued with family friendly touches. 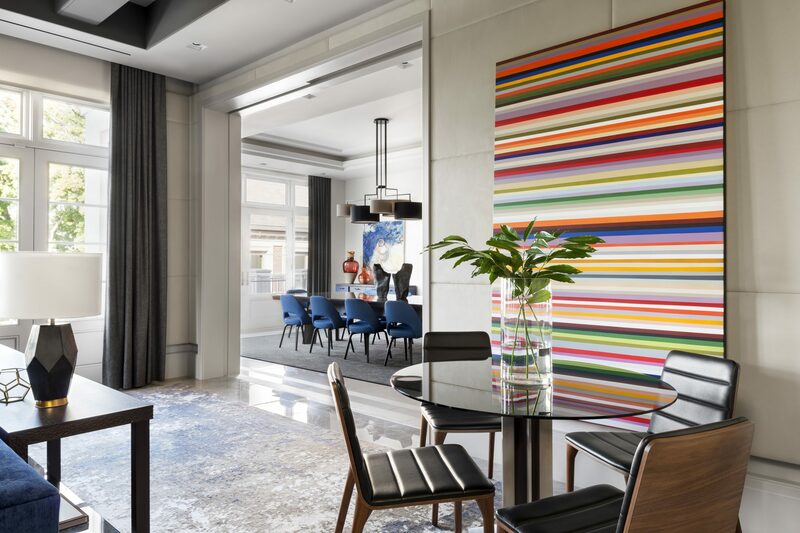 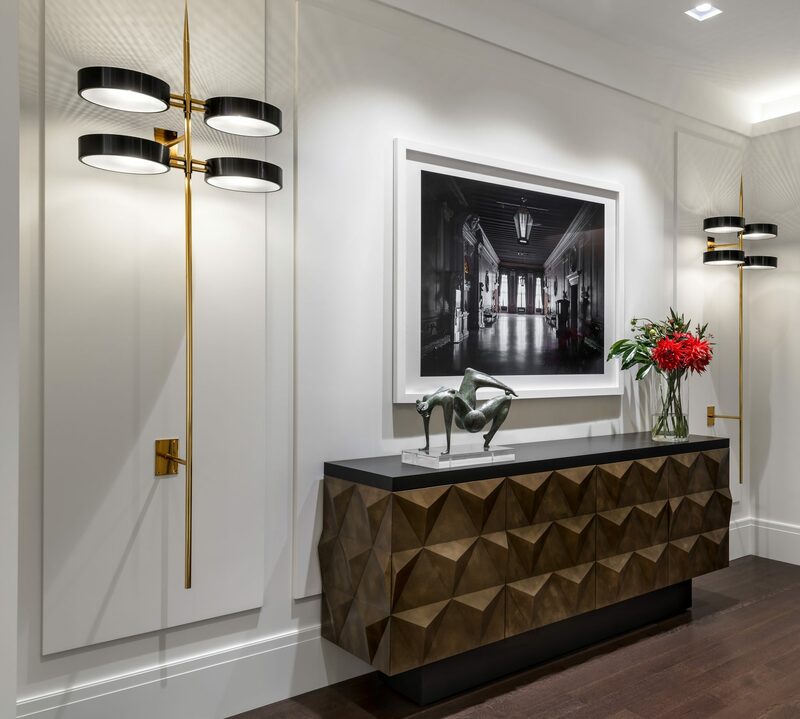 The foyer conveys a formal flavour with polished marble floors, custom panelled walls and elegant vintage 60s lighting, while communal areas foster a warmer environment: suede upholstered walls in the family room, faux olive kitchen wood cabinets and multiple fireplaces throughout. 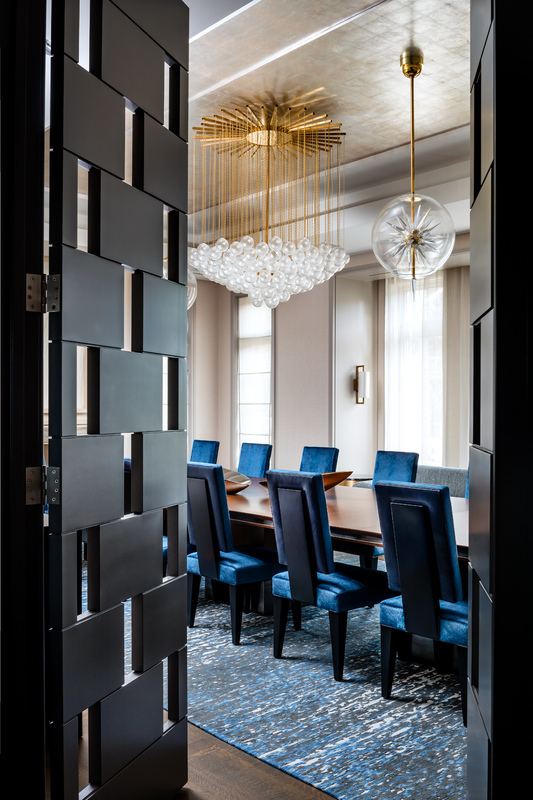 The jewel-toned mid-century inspired forms further enhances the youthful family vibe. 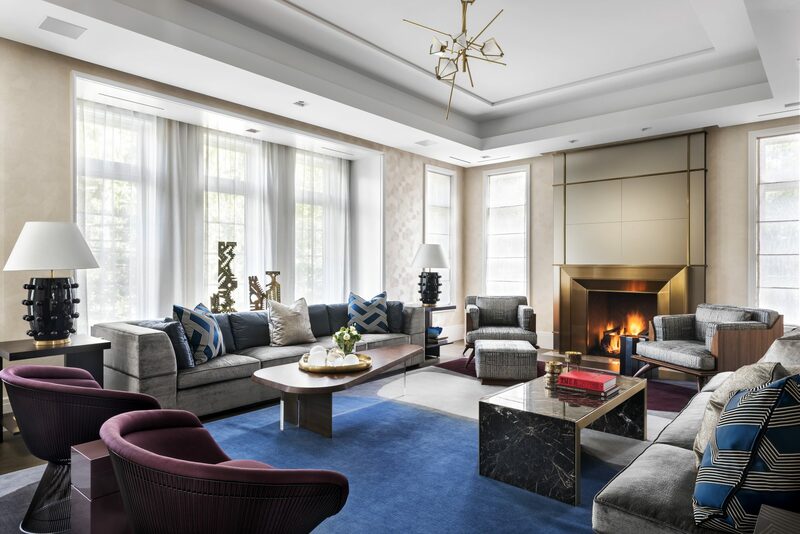 Master areas, fashioned with light silk upholstered walls, a mother-of-pearl clad fireplace, and Euro-inspired gilded accents offer understated glamour for the perfect serene retreat.